Monero is a one of a kind cryptocurrency launched in April 2014. Its primary focus is to be the ultimate, open source cryptocurrency. The developers of this cryptocurrency were focused on reliability and ease of use when releasing Monero. And the currency does have quite a lot to benefit from that. 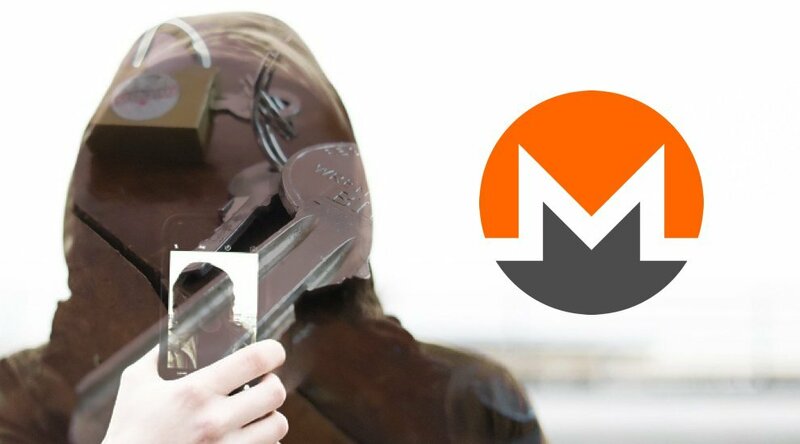 What you will want to note about Monero is that the currency is known to leverage stealth addresses and ring signatures in order to hide the recipient and sender identity. Since a lot of people want to secure their transactions privately, using Monero can be right up their alley. The interesting thing about the ring signatures is that they combine a mix of user account keys and public keys. These keys are acquired via the Monero blockchain, and they can easily create a multitude of signers. As a result, anyone that comes from the outside will not be able to identify the sending user. When you use cryptocurrencies for privacy, you will find that the experience on its own can be quite impressive and downright rewarding all the time. Using this concept is not something new, but it is one of the best methods you can access if you want to stay safe online. Most cryptocurrencies tend to mix coins in order to hide something. That means some of them might be a scam and they just don’t deliver on their promise. On the other hand, Monero is all about mixing all the coins used in a transaction. This means you will not have to mix only a certain amount of coins. As a result, you get to eliminate any of the suspicion, and you are also able to keep your identity hidden. Yes, Monero is all about removing any signs of suspicion, and it focuses specifically on providing you with the means to keep your identity a secret. You won’t be targeted by any hackers and your purchases or sales will be kept a secret unless you want to disclose them of course. But the Monero system also manages to conceal the value of the transaction as well. So, no one will know that the transaction even existed. It’s important to note that the Monero market use is similar to the other cryptocurrencies out there. You will see that the currency is listed on various exchanges such as Kraken, Bitfinex, and Poloniex, as well as many others. You just have to go here and purchase the desired Monero amount, then store it in your wallet. You can also mine blocks if you want. Of course, you can also join mining pools, and these will allow you to get a pretty good amount of Monero coins. Since the currency uses a proof of work algorithm, it’s available for a large number of processors most of the time. The Monero network hash rate is around 81.84 million hashes per second, and you can get around 7.46 XMR. As a result, you can get roughly 5376 XMR per day, which is pretty good. Since Monero is a cryptocurrency, you will see that there are some price shifts all the time. This currency, in particular, has experienced some rather high volatility; it can climb in price very fast. One thing to note about Monero is that it does offer some great opportunities for traders. There are some sharp price fluctuations that help you do all of that. If you are a trader, you can purchase using both cryptocurrencies and fiat currencies. This will help you buy and sell without that much of a problem. Initially, a single coin was valued at $0.25 in 2015, but nowadays you can get one for around $60 or so. This means the Monero value is increasing, and that’s why you want to use it to your advantage. Since Monero offers a very high degree of privacy, you never have to worry about anything while using it. The privacy levels are high, and the coins are easy to trade. Since there is some volatility, you can easily buy and then sell for a profit. That certainly works to your advantage, and it provides you with a resounding set of benefits because of that. This is not a speculative cryptocurrency. It’s very safe to use, and the fact that it has so many security benefits does tend to work to your advantage. Moreover, by offering this high level of privacy, Monero also delivers fungibility. What this means is that the units can easily be changed for others without any problem. Yes, each coin has equal value, so you never have to worry about finding any substitutes. Every vendor that accepts Monero will always be protected, since there is no different value for each coin. There is a single value and that on its own is incredible in its own right to be honest. What you have to realize about trading Monero is that it’s very easy to do and it’s also extremely fast to perform too. The community is also very helpful. In case you have any problems or questions, they will gladly assist you, and the experience can indeed be great because of that. Once you start using Monero, you will see that this is one of the best trading options on the market. Monero shines, and it offers high levels of privacy other platforms can only dream of. This is the reason why Monero coin values have raised quite a bit in the past few years. It’s an interesting opportunity to invest in Monero. Just consider giving this outstanding platform a shot, you will appreciate the quality and experience delivered here. Next articleBitcoin Price Breaks Through $2550 Resistance?